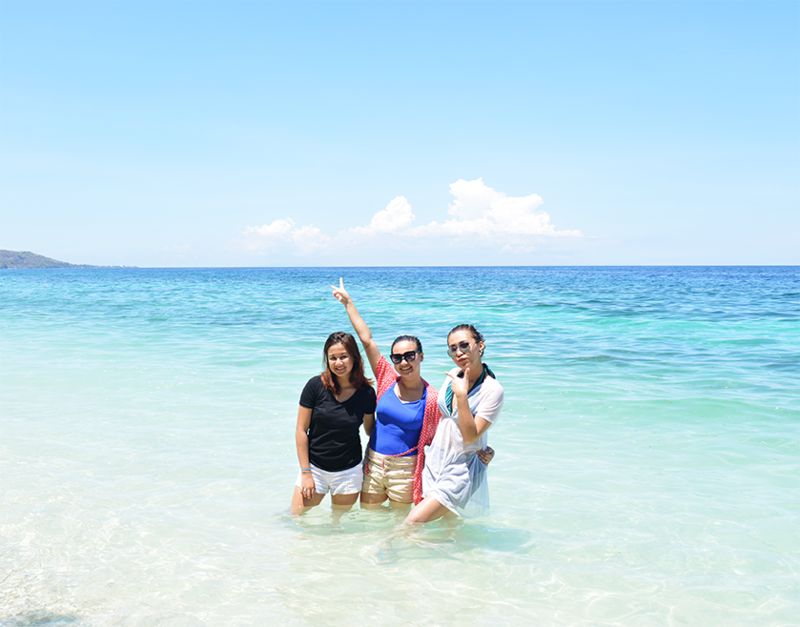 Last April, me, my sister, our cousin and her boyfriend went down south to finally start off our summer getaway in a private beach resort in Oslob. I have seen and heard buzz about this place on Facebook that's why I suggested we go visit the place and see it for ourselves. 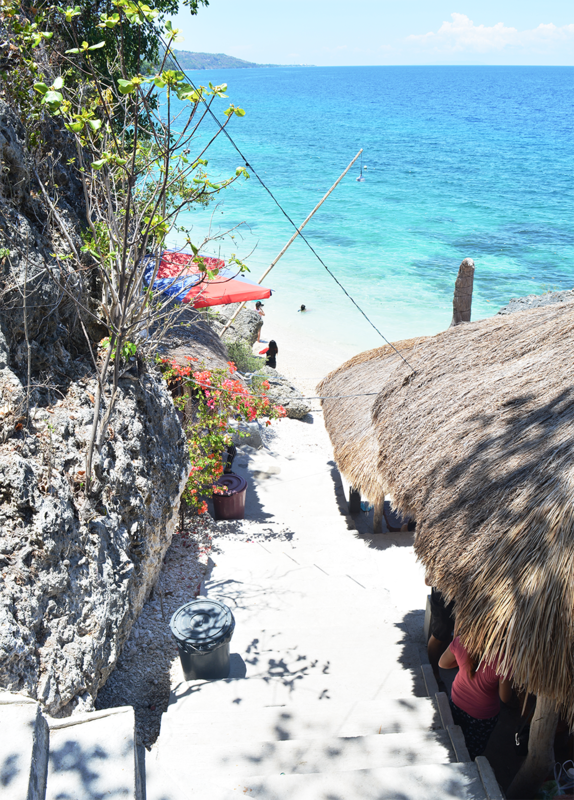 The place is called Cangcua-ay Private Beach and it's located in Tan-awan, Oslob. 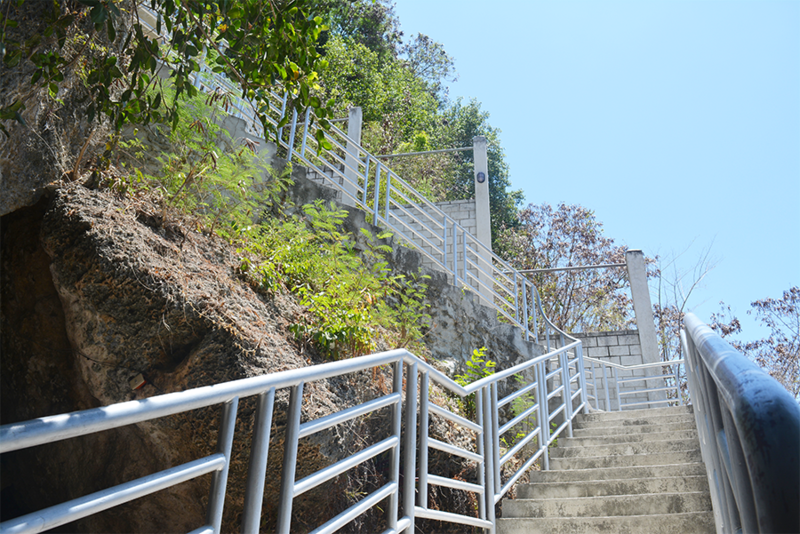 I must say that this place is great for weekend getaways with your friends and family (if they can endure the 200+ steps going to the resort). But it's definitely worth the try! At first, going down to their information booth where we paid the entrance fee was no-sweat easy but when we went down further to go to the resort, our knees were already shaking. Haha! 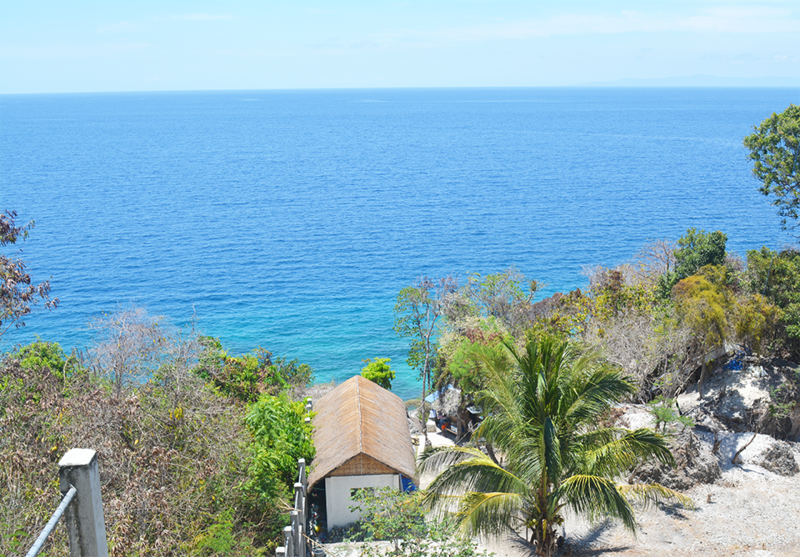 The cottages at Cangcua-ay Private Beach are actually free but they are on a first come first served basis. And since we were only four, they only gave us a small table and four chairs and placed it at the front beach just a few steps away from Seafari Resort. The crystal clear water at Cangcua-ay Private Beach was so tempting that we didn't hesitate getting in despite the scorching heat of the sun. But of course, we had our photos taken before we get soaked. The tide was high and you may not really see it based on these photos but the waves were quite huge and strong that time. The place was also jam-packed that we had to wait for others to finish taking their photos on the same spot. Haha! 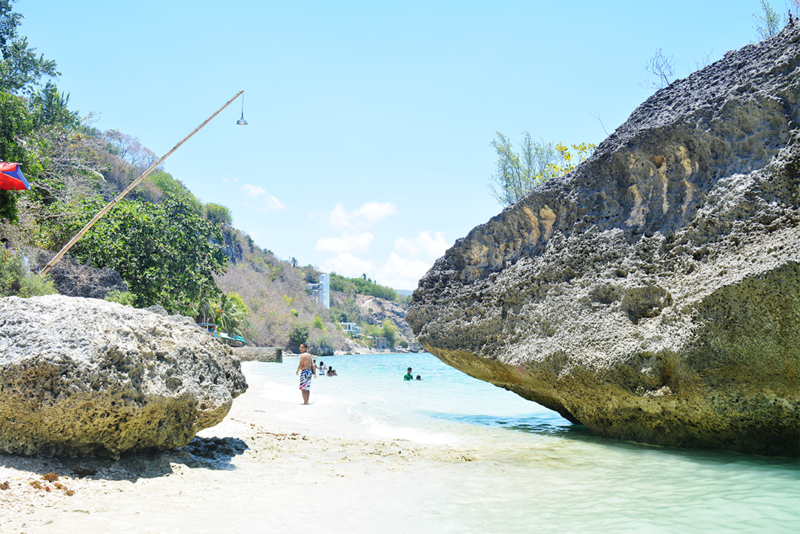 Cangcua-ay Private Beach made a buzz in social media and I am glad that I was able to see it firsthand. 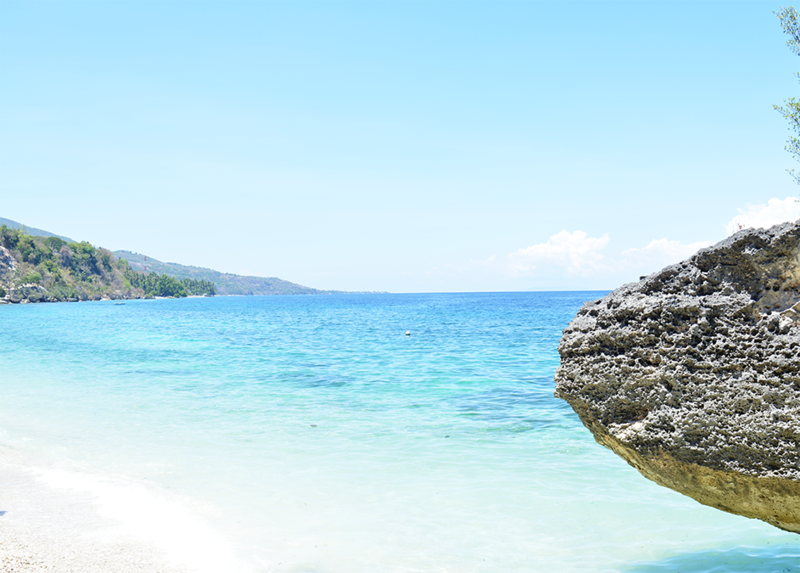 The beach was really beautiful but the resort itself wasn't that developed and well-maintained yet. The water supply was also quite scarce that each person only had one pail of free water that you can use for bathroom purposes. There are no corkage fees so it's really advisable that you bring your own food and drinks. They have a tiny store where they sell softdrinks and food but expect that the prices are expensive. It was a great summer weekend and I will definitely be back when I'm ready to take the 200+ steps challenge again! Haha! Wow! This is great. 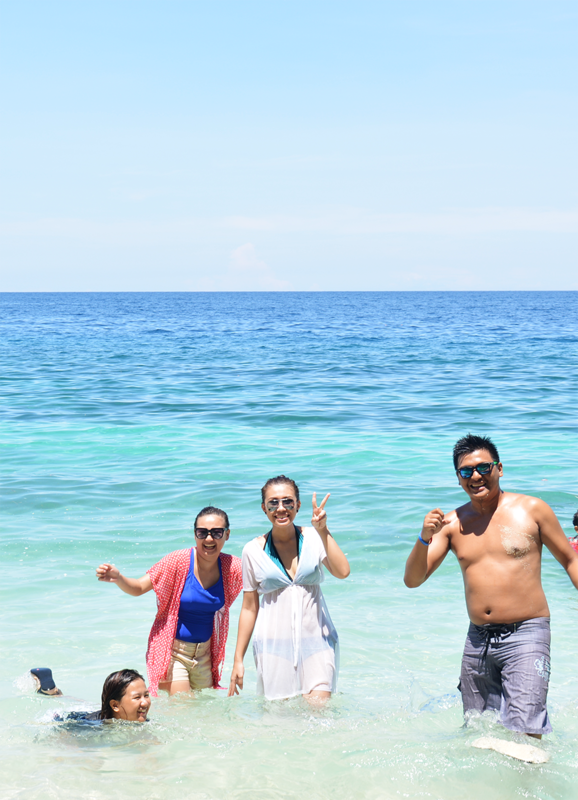 Thanks for this amazing blog on the Beach of Oslob. Ever done the Whale Sharks?